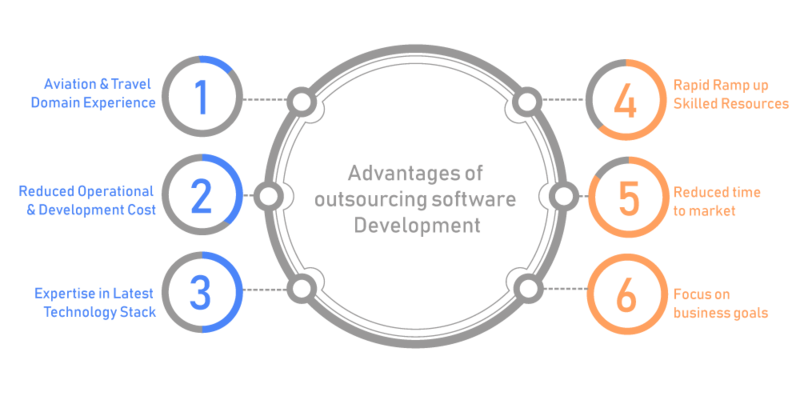 We offer high quality and dedicated domain oriented outsourced software development services in airline, airport, travel and hospitality domain that match business driven expectations of our clients, keeping in mind client’s strategic interest. We offer reliable and quality driven solutions as per client’s specifications that has been discussed and mutually agreed. Our team of skilled, talented and experienced professionals possesses in-depth knowledge of their respective domain and technology. Choosing Right Application & Technical Support - Why Us? Just drop us a line about your outsourcing software development project thought at contact@steadybiz.in through mail or Skype and we'll share our insights to help you make the final & better choice! We can partner with you! We’ve accomplished some amazing work for some really great clients. We’d love to talk about how we can help you in your current and next project! Develop your career with us! We have an amazing team of friendly experts, who enjoy collaborating to turn big ideas to reality and seek opportunities to truly be challenged. Steady Solutions specialize in the design and development of quality, innovative information technology solutions for dynamic business needs. Our solutions help organizations to facilitate growth, compete more effectively, reduce costs and work more efficiently. Steady Business Solutions Pvt. Ltd. Copyright 2019 Steady Business Solutions All Right Reserved.